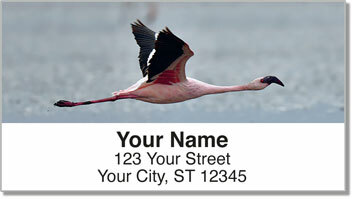 These are some of the most stunning close-up photographs of pink flamingos that we have ever seen, and that's why we've chosen them for our distinctive line of personalized address labels. 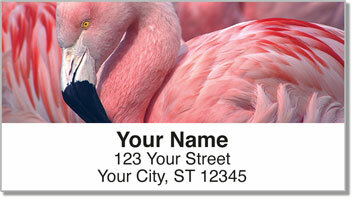 Just think how the beautiful pictures of these elegant birds will dress up your outgoing mail. 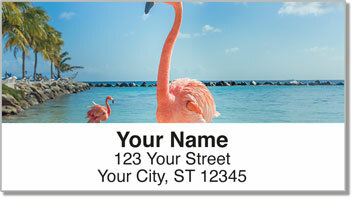 But you can use them for more than simply identifying envelopes and packages. They're a terrific way to mark items from your personal library too, so the next time you loan out a title, there's no way your borrower can forget who really owns that book, movie or video game. 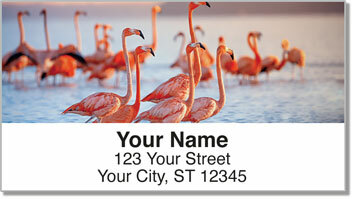 Don't delay-make Pink Flamingo Address Labels and matching personal checks yours today!